Size: 13 13/16 x 9 3/4 in. 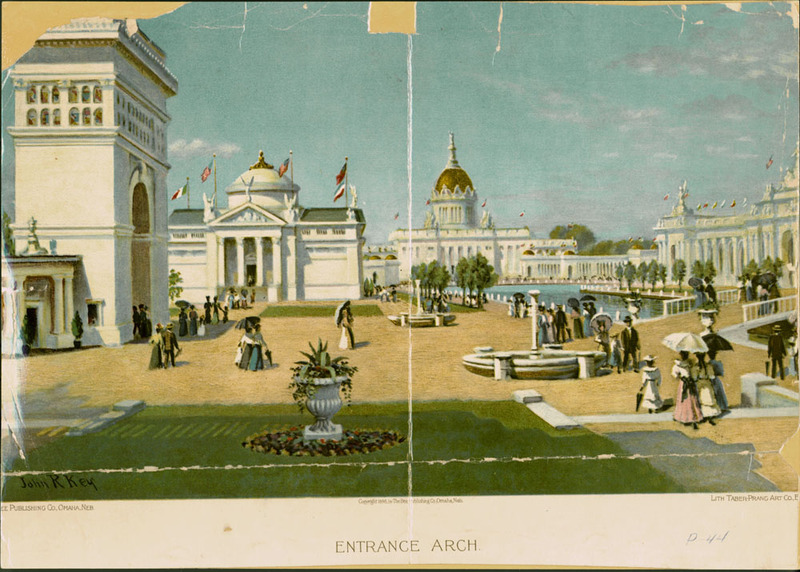 Lithograph of Arch of States, Fine Arts Building, U.S. Government Building, and Agriculture Building. Lagoon and bridge visible. Light crowd. The Bee Publishing Co., Omaha, Neb. 1 sheet previously folded in quarters. Poster.